Open up your house to the outside and let the sunny weather in with the perfect set of Patio Sliding Doors from Martindale. As a door solution that is wonderfully modern and extremely sleek, Patio Doors are unique to a number of other exterior door solutions in that they provide a great space saving solution. Because they fit flush to the wall and open in a smooth sliding motion, our Patio Doors give the illusion of an open and spacious environment. Available in a range of modern styles and finishes, Martindale’s Patio Door solutions can be designed around the exact requirements of your home. Our range of patio doors are available in a chamfered or decorative finish to compliment the Eclipse and Aesthetic profiles of the residential door and window range. 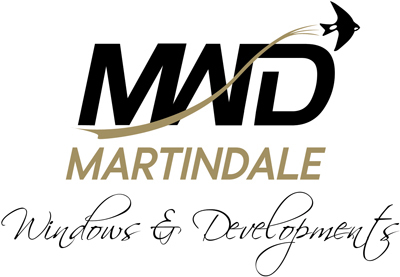 When choosing any patio door from the Martindale range, security is of paramount importance and each of our inline patio doors are manufactured using reinforced low maintenance PVCu frames with feature a six-point locking system, an anti-jacking system and a one piece locking keep. Keeping your home safe and secure.